Happy New Year, folks! Welcome back to another year filled with cool stuff about bricks here at Nothing But Brick! Here's to more bricks and figs to each and every one of us Lego fans of all ages. To kick-off 2017, allow me to give you a quick look at one of the interesting acquisitions I made last year. As the title of this entry suggests, let's all have a quick look at Lego's Minifigures Series 16. 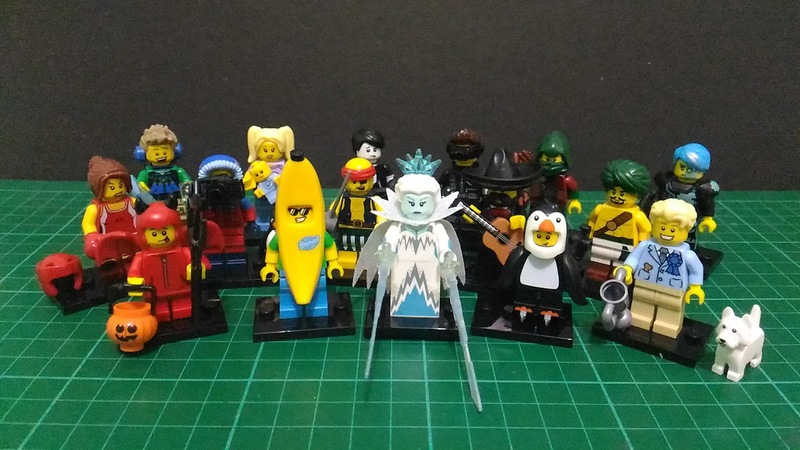 This was my first time to buy a complete Minifigures Series set from one of the local online sellers and it was really bang for the back. The cool thing is, the figs are cheaper compared to their counterparts sold at toy stores. 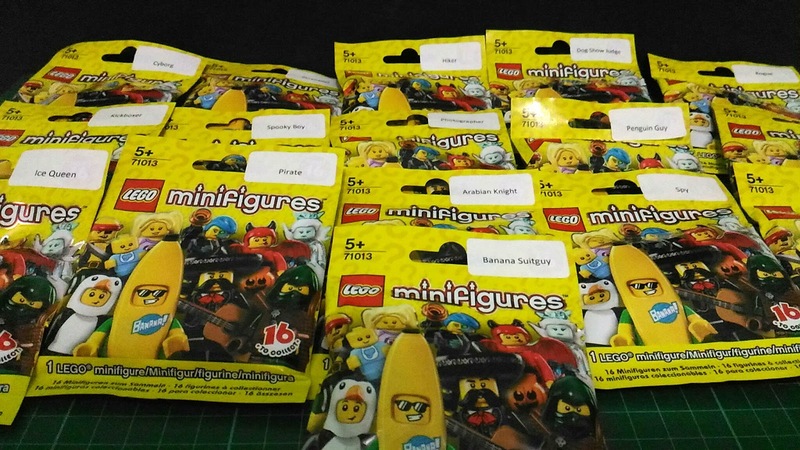 Also, the seller already labeled each fig without damaging the polybags. Thanks again to Sir Cres Abellada of brickventures2015. Check out brickventures2015's Instagram account here. Here's a shot of all the Series 16 characters standing tall together. There are lots of new elements here that made me really want to get this series. For instance, there's a new acoustic guitar piece that comes with the Mariachi fig. I've actually been waiting for Lego to come up with an acoustic guitar ever since I started learning to play the instrument back in high school. 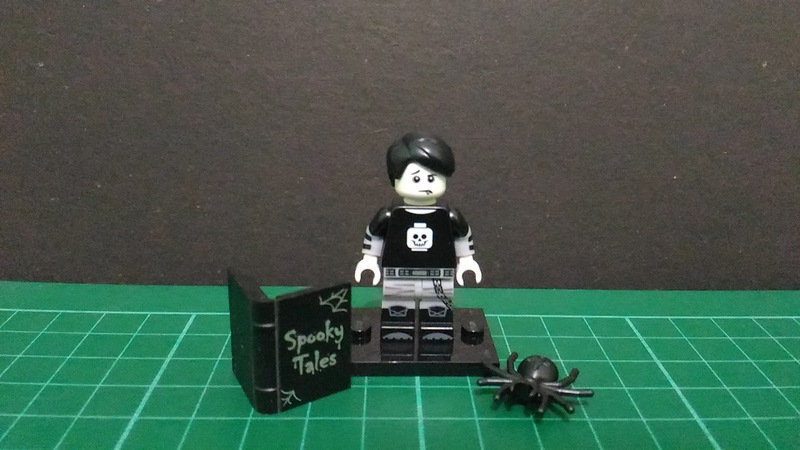 There's also the black parted hairpiece on Spooky Boy. 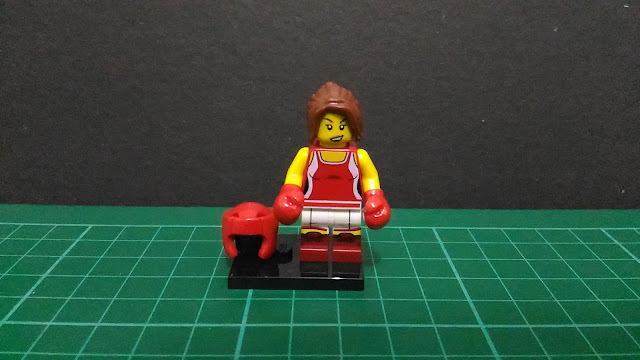 I think Lego already released this piece with the German National Football team series as Joachim Löw's headpiece but is close to impossible to get since it was not released here in the Philippines. Let's have a look at each of the figs. This perky dude just won a Dog Show contest with his best bud and he has this proud smile plastered on his face. 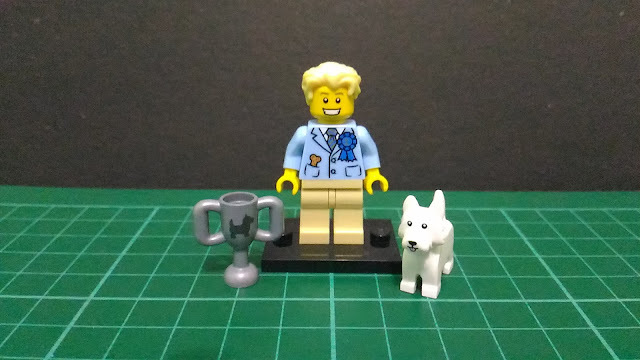 I really like the new blonde hairpiece as well as the terrier fig. 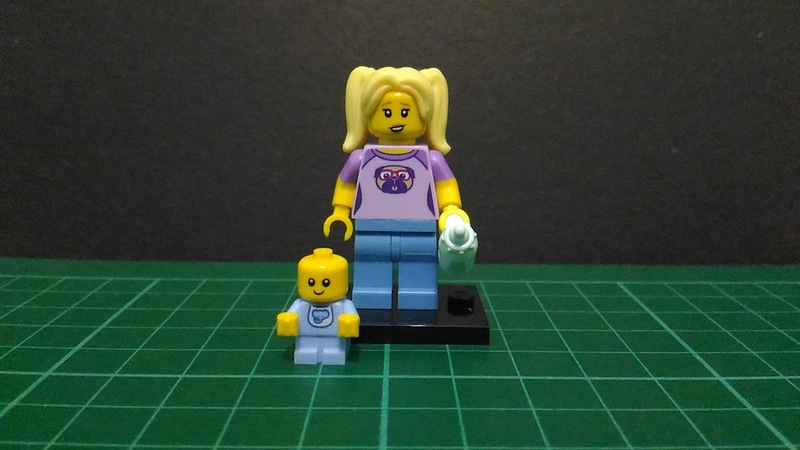 This one's your typical City fig except it comes with another baby minifig, with a different body color and print. I think this, and Set # 60134, Fun In The Park People Pack, which I previously did a review of are the only sets that currently come with the baby minifig. 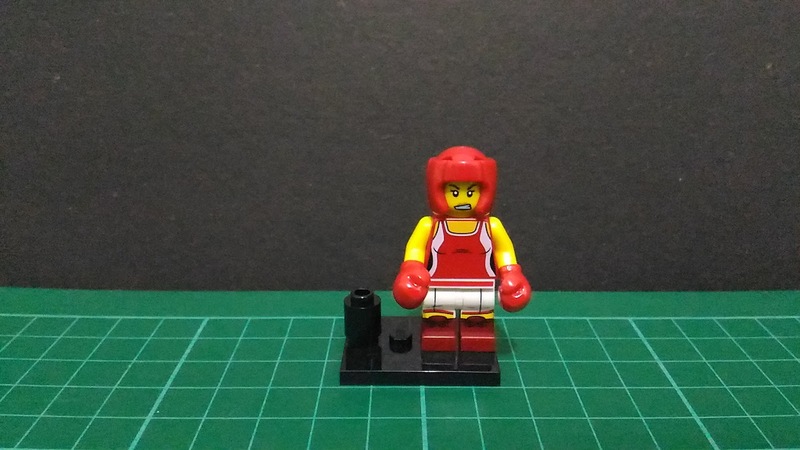 That 1x1 piece which serves as a stand for the headgear is a rather unusual piece to include in this set. Still, the Kickboxer is a pretty cool fig. I especially love the printing in both the torso and legs. Cool accessory. Cute sidekick. I also like the colors used for this fig's overall design. This fig reminds me a lot of the Dunedain from the J.R.R. Tolkien's Lord of the Rings series. This actually makes me want to build an army of forest rangers. 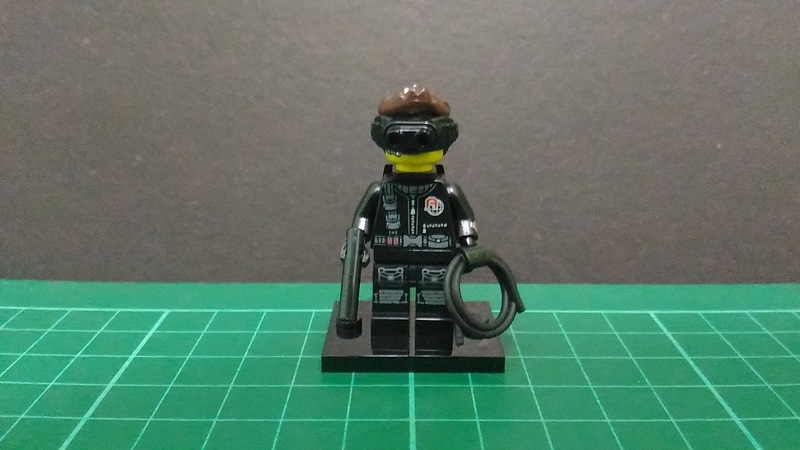 For me, the Spy is a pretty cool fig. However, it does have one flaw that really gets me: the dimpled hairpiece. I wish Lego found another way to have the night vision goggles cling to the hairpiece. It feels kind of weird to use the hairpiece because of the dents on both sides. Spooky Boy is a nice compliment to Minifigures Series 12's Spooky Girl. Both have the same white skin tone. They also sport cool black headpieces. 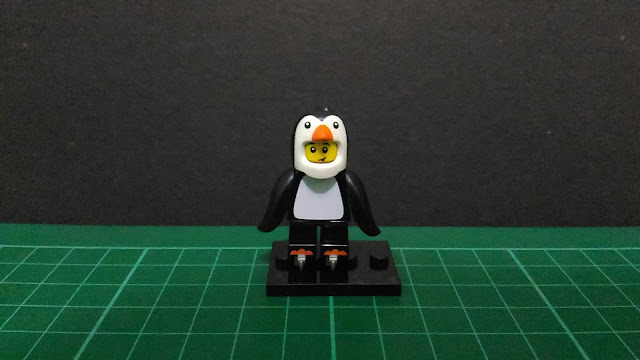 What is it with penguins in this Series?! This little guy is sporting a pair of ice skates. 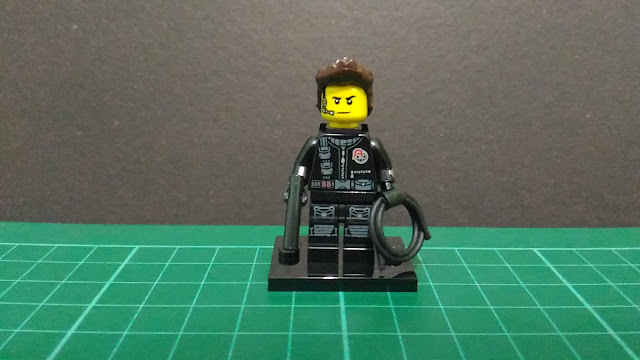 It's cool how Lego re-used the fins from Minifigure Series 15's Shark Guy. This badass right here will cut you down with his mighty sword. 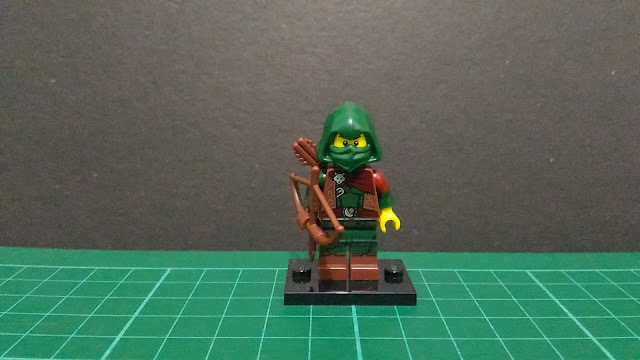 Lego seems to have army builders in mind when they were designing this series. 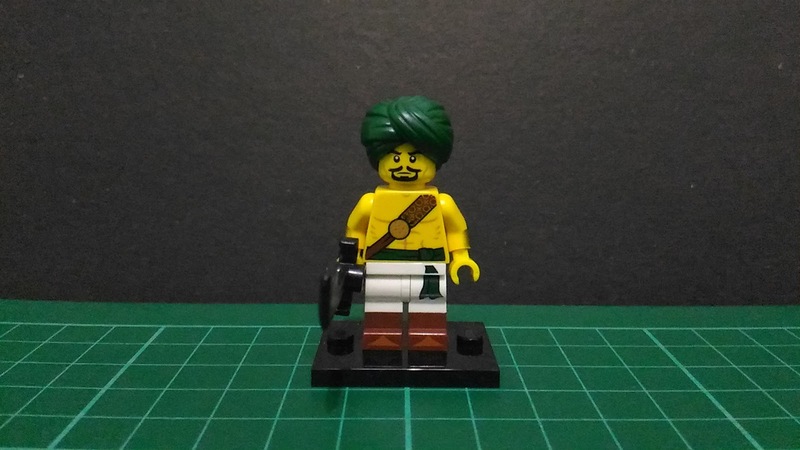 If you want to build a middle eastern themed army, then it's best to start with the Desert Warrior. Representing Lego's Space theme in the series, the Cyborg is equipped with printed armor and a double-barrel gun. It's interesting to note how the parted hairpiece for Spooky Boy is molded in this light shade of blue. 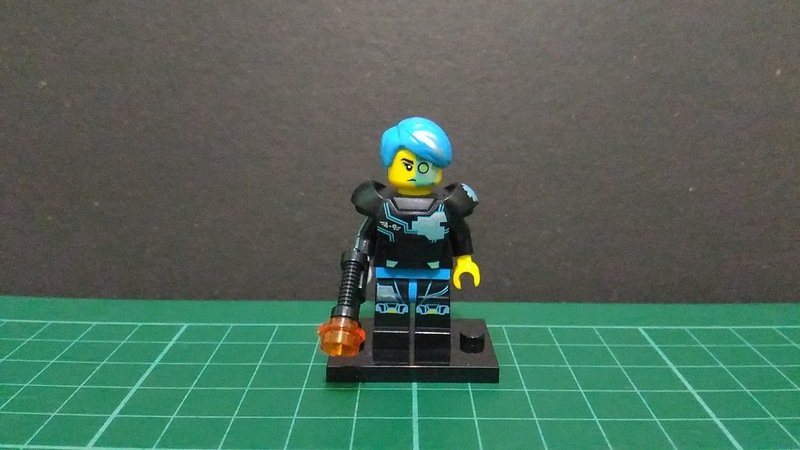 Is Lego going for a Cyberpunk Space theme this time around? 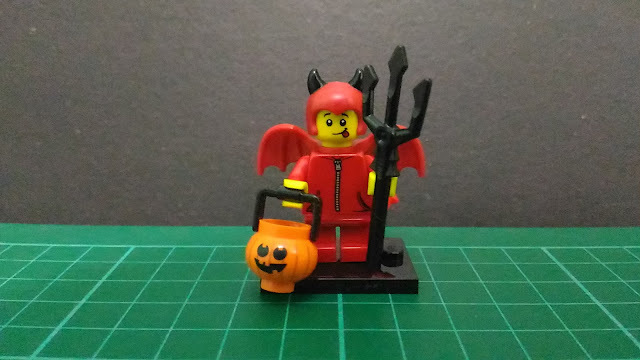 Series 16 was released just in time for Halloween making this little guy the ideal Trick or Treat minifig. The black trident is really badass. I also dig the red sweater. 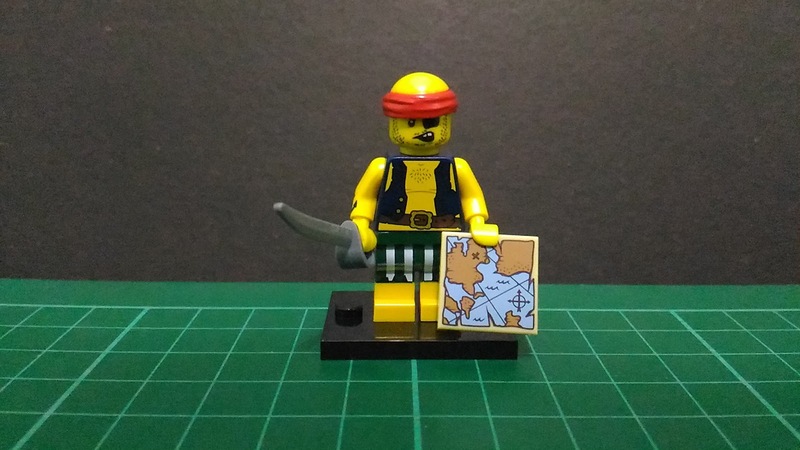 The very first bald pirate! Nuff said! Look at that piece of wood right there. 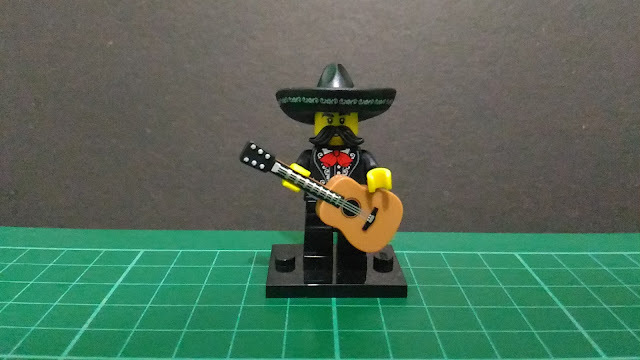 An official Lego acoustic guitar. 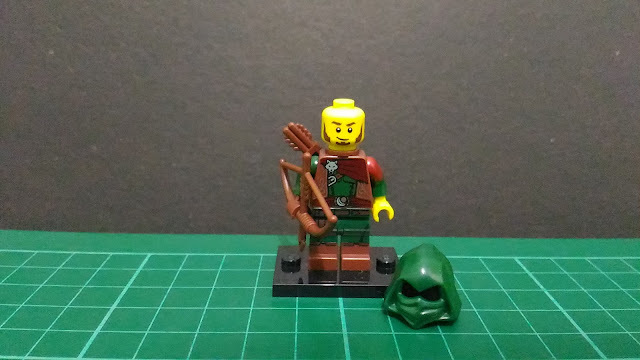 As stated earlier, I play the guitar in real life and I've been waiting for Lego to release their own version of my beloved instrument. After almost a decade of waiting, my prayers have finally been answered. 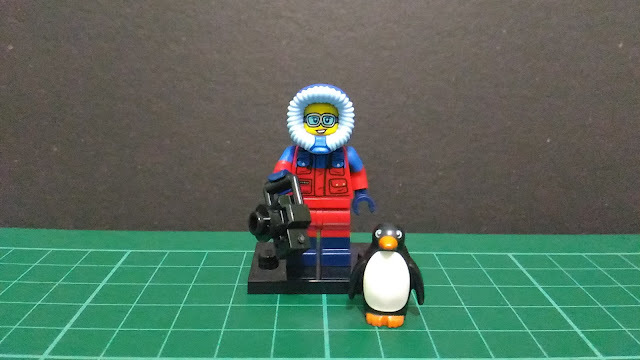 Good job, Lego! 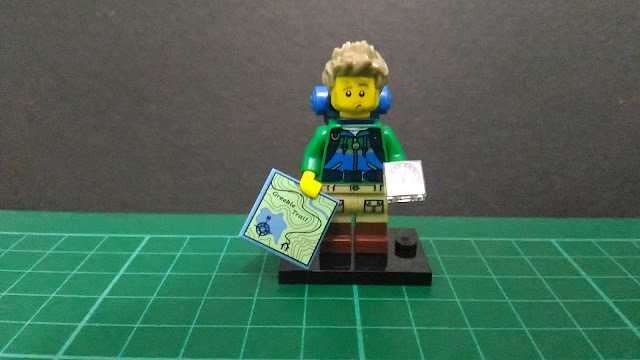 I've seen this guy all around Instagram hiking in different real world locations. 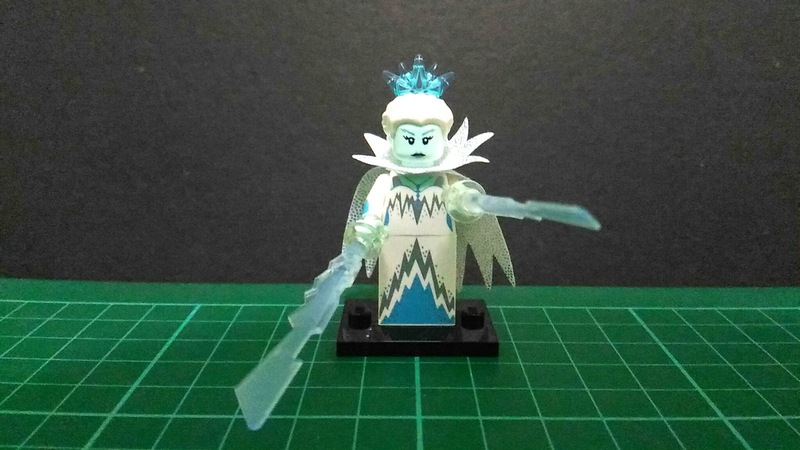 This is probably one of the most popular figs in this series. 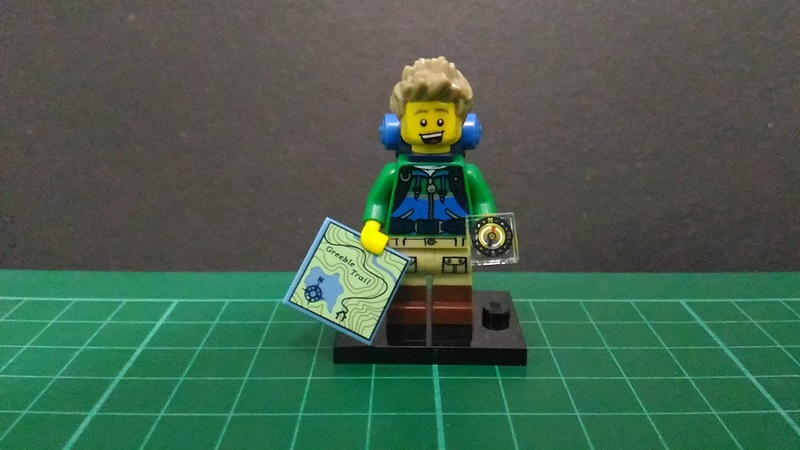 Cool prints on both torso and legs, the Hiker comes with a camping knapsack, a map and a cool compass. The clueless look in one of his head prints is priceless! 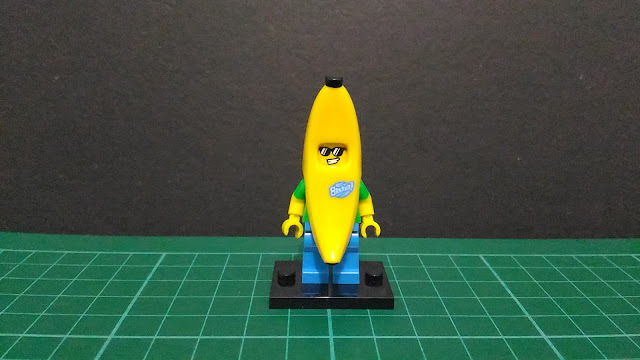 The Banana Guy is this Series' mascot. I got this one for the Waifu because she's into collecting the mascot figs from the recent Minifigures Series. Last but not the least, I present to you the cold and terrifying Ice Queen. Majestic. Heartless. Deadly. Those transparent knobs are pretty useful if you want to have your figs fire energy blasts. There you have it, folks! I really like the designs of the figs in these series. Also, the quality of the molds and prints for the new pieces are really amazing. Lego did a great job with this batch of figs and I really don't regret getting all of them. Actually, two of them will be going to the Waifu: Banana Guy and Penguin Boy! Thanks for reading Nothing But Brick's first entry for 2017! 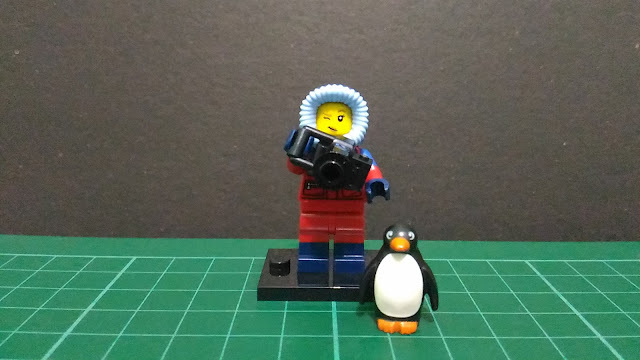 Will be doing more reviews and writing more about more Lego stuff this year. Also, will be bringing back the Builder of the Month feature soon. Stay tuned for those, folks! Till next entry!